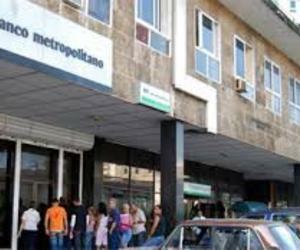 The Cuban Banco Metropolitano will boost e-banking and other initiatives in order to improve services to the population, affected by the insufficient number of facilities it has in Havana city. Banmet president Oralndo Lopez said they have 120 offices in the Cuban capital but require at least another 50 to meet the growing demand. The lack of funds to undertake building new facilities makes them resort to e-banking, he said. Though they already provide online services, the amount of daily operations through internet is less than 1 percent of the total amount of 204 thousand. These services include paying electricity and water bills, taxes and money transfers. A Cuban software company is developing tools for Banmet to stabilize these online services, he added. By the end of 2016, the bank had issued 1.7 million cards, mostly for Cuban enterprises to pay salaries, for the government to pay retirees their pensions, and a few for private businesses and Cubans working abroad on government’s contracts.